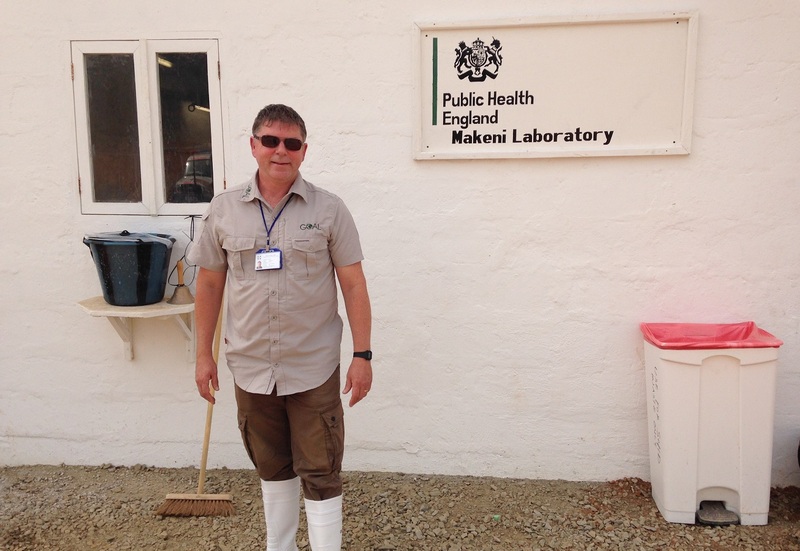 Neil Bentley, PHE's Head of Specialist Microbiology Technical Services, has recently travelled to Sierra Leone to help set up three new Ebola laboratories. The first opened in October and two others followed in early December last year, based across the affected areas of Kerry Town, Port Loko and Makeni. Labs are staffed by teams of up to 16 scientists, drawing from PHE scientific staff and volunteers from other laboratories, with each facility adding much needed capacity in critical districts, as well as relieving the bottleneck in testing. Blood samples and swabs from all over the country are tested for the deadly virus and cases of Ebola can now be identified much more rapidly, helping to reduce the transmission rate. 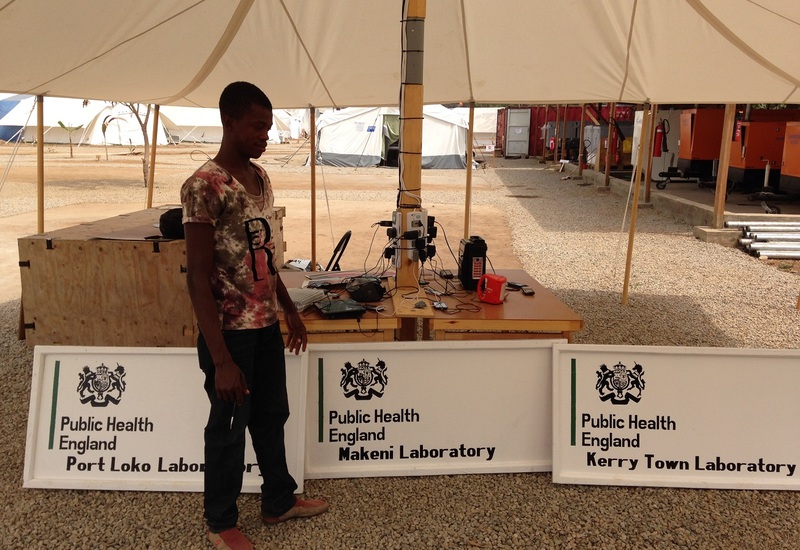 I was out there in early November to mid-December as PHE technical lead, helping to set up the newly constructed laboratories in three locations around Sierra Leone. 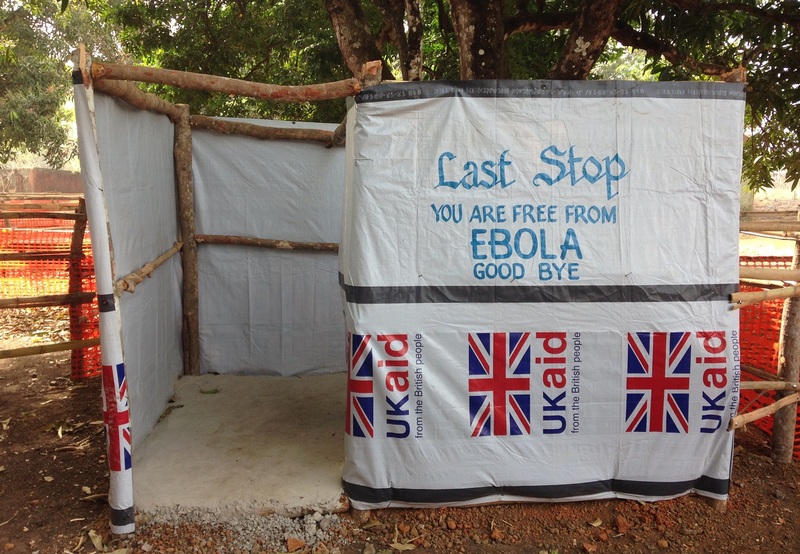 This involved working with colleagues from MOD, DFID, PHE and the Sierra Leone Ministry of Health. There was a need to further develop the supply chain and procurement of equipment both internationally and nationally for the Kerry Town lab resupply and for commissioning the other two. I was responsible for getting the Makeni and Port Loko laboratories up and running and able to analyse specimens by early December. I was also part of the national senior lab group and helped coordinate testing around the country. As part of the PHE management team I was responsible for over 50 staff working in field conditions. How was this making a difference? Our presence reduced sample turnaround time from about 4-5 days to less than 24 hours and this had a direct impact on patient care, reducing the amount of people contracting the disease. It is clear that the laboratories were very efficient in quickly turning around samples and when I returned to Sierra Leone in late December we then concentrated on getting the sample collection and transport as efficient as possible. We also tried to streamline the result process to enable the result to get back to the clinician as soon as possible. We were in effect trying to promote public health within our labs and not just provide a diagnostic service as seen in others. This involved extensive travel to often remote locations at community holding and treatment centres to train and educate people on sample collection, transport and result reporting. This was particularly rewarding as you could see that what we were doing was making a difference. I made sure the staff back in the labs were made aware of the impact of their efforts. As part of the senior management team we had to liaise frequently with MOH, military and DFID. The PHE labs are seen as the gold standard out there and provide extended hours, 7 day a week diagnostic service. Did you go on your own from PHE or with people you know? I went out on my own, but also as part of the bigger PHE team, and during my time made lots of new friends from across the globe. I’ve worked in this field for a long time so was able to work alongside new and old friends, some of which I had not seen for over 20 years. My role was an individual one and involved moving around the country, but I was an integral part of all three teams. Some of the challenges out there initially were managing expectations and providing a service designed in an office in London but implemented in Sierra Leone. We were under pressure to open the laboratories at a significant diagnostic capacity level very quickly. This was hampered by a less than perfect supply chain with challenges getting essential equipment. When equipment did not arrive we had to improvise. This included procuring, borrowing and finding equipment locally, for example fridges and freezers. We were also required provide labour to offload numerous flatbed lorry deliveries to treatment centres where laboratories were being constructed. Frequently we did not know when they would arrive, if there would be a fork lift truck available and also what they contained. We had to be on the building site to receive them for extensive periods of time waiting and there was often no shade and certainly no toilet facilities, water or electricity. In effect the laboratories were opened before the treatment centres were finished and staff were providing laboratory services from an African building site. My role was to chase up the supply chain on a daily basis for the three labs, coordinate where supplies should go and be the link between the MOD, DFID, PHE and relevant NGO. I also had to commission local carpenters to provide benches and painting for the laboratories and find alternatives for missing essential equipment. In reality, the building was handed over to us and we had 24 hours in which to install and commission laboratory equipment! But on the ground we could see the importance of opening the labs quickly and the public health impact it would have if they were delayed even by a day. It was more important to open and be able to do 10 samples on the first few days than stall opening until we could process 300. Would you go back? Are you planning to go back? I hope to help organise the labs so we can leave a legacy. 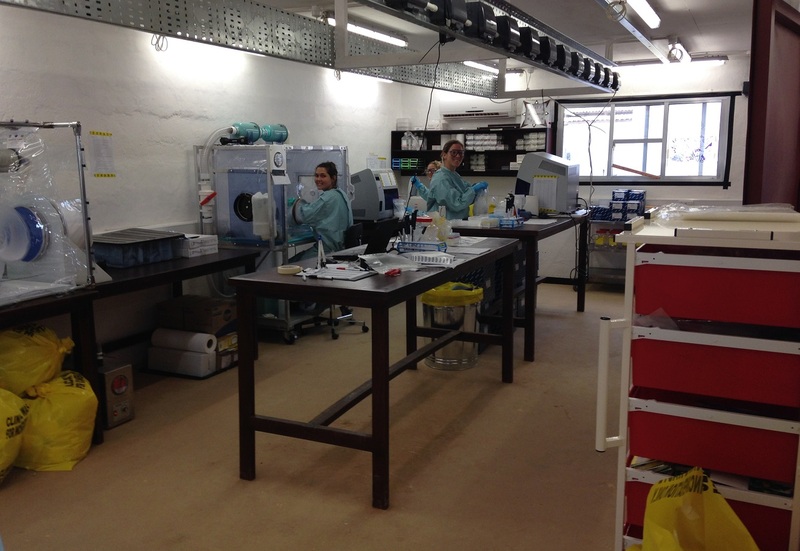 The labs are now up and running and providing a suitable Ebola diagnostic service. My role when I go back is to assess what laboratory needs are required, communicate this need to PHE after the outbreak, and hopefully commission, procure and install this into the labs. There will also be a need to provide training for local staff to take over and run these laboratories with distant support from the UK. Hopefully this will be an ongoing commitment for PHE for years to come.